The USO is proud to count comedian, Iliza Shlesinger, as one of its longtime celebrity supporters. Since 2012, she has joined USO to entertain more than 15,000 service members in a variety of locations such as Afghanistan, Spain, Bahrain, Germany, Kyrgyzstan, Iraq, Poland, the UAE, and even ships at sea! 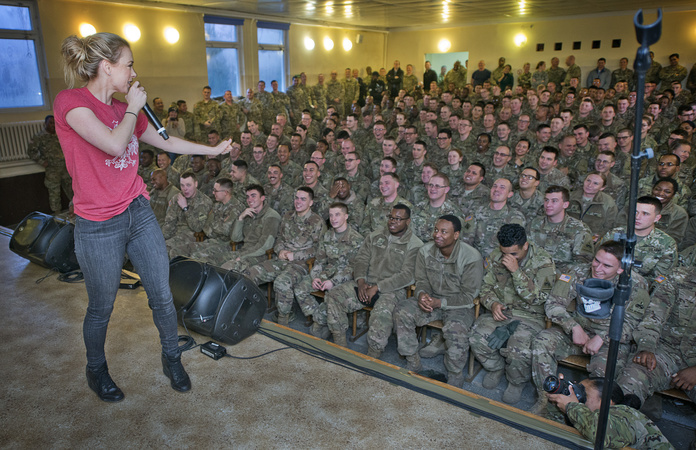 Iliza Shlesinger performs for troops in Poznan, Poland during the 2017 USO Holiday Tour. 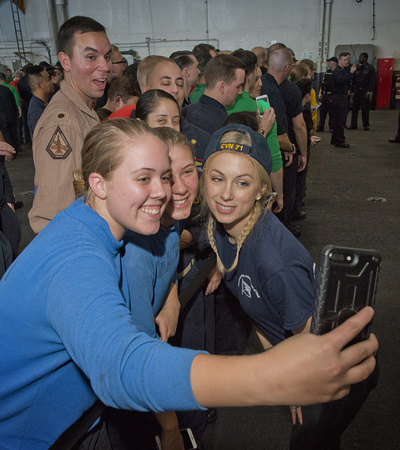 Iliza Shlesinger joins in on a selfie with service members aboard the USS Theodore Roosevelt during the Chairman's 2017 USO Holiday Tour. 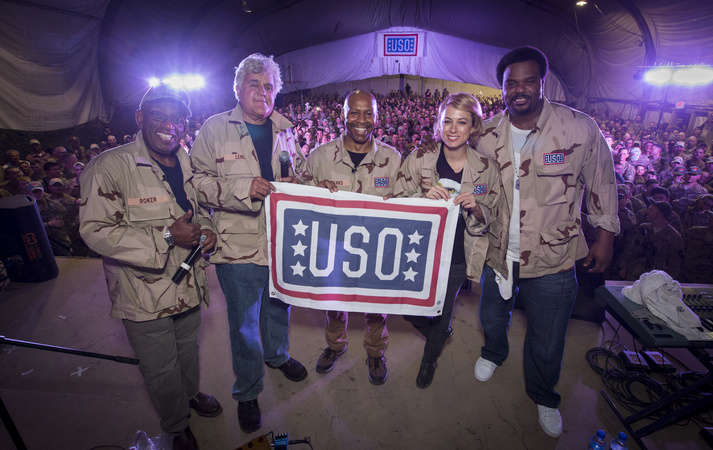 Iliza Schlesinger joined Al Roker, Jay Leno and Craig Robinson for the TODAY USO Comedy Tour in 2014. 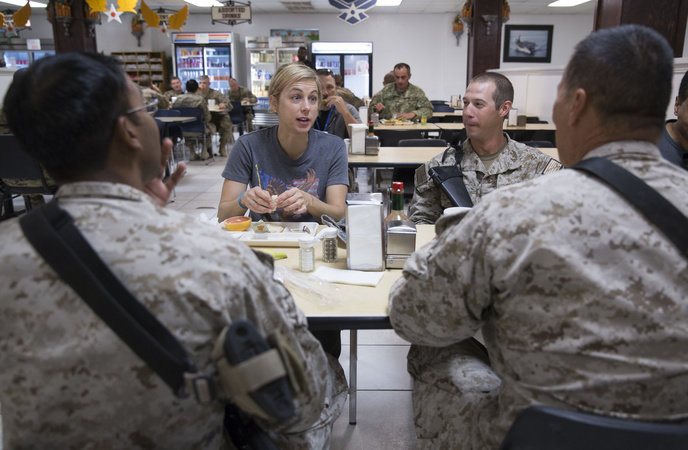 Iliza Schlesinger shares a meal with service members in Afghanistan during the 2014 TODAY USO Comedy Tour. 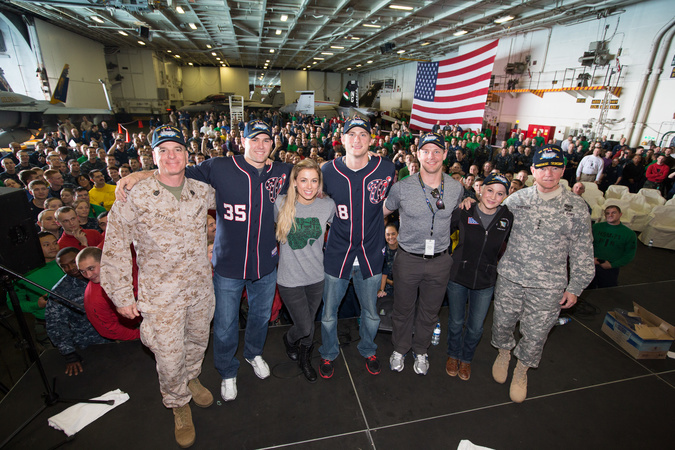 Members of the 2012 USO Holiday Tour, Craig Stammen, Kellie Pickler, Ross Detwiler, Matt Hendricks and Iliza Shlesinger, pose for a quick photo onboard the USS John C. Stennis. 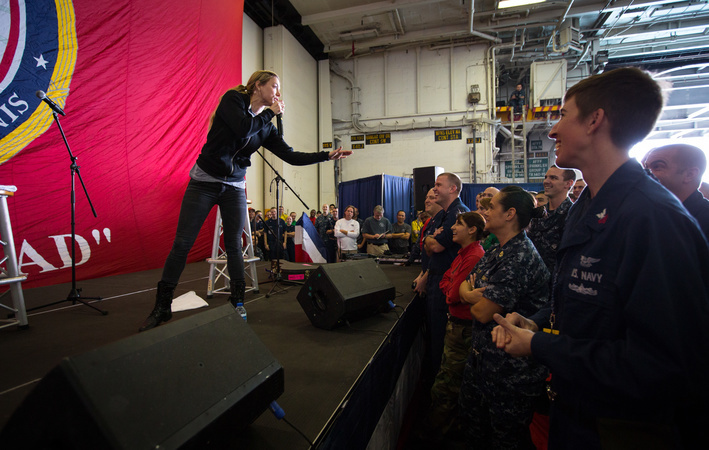 Iliza Shlesinger performs onboard the USS John C. Stennis during the 2012 Chairman's Holiday Tour. Tell Our Service Members Thanks. Send Them a Message Today.